My mother-in-law’s been having trouble with her blood pressure going really high then dropping really low, so she’s been in and out of the emergency room a lot recently. Late last week, she was put in the hospital so they could figure out what’s going on. I decided on Sunday to make her a get well card (Sunday is my day to just play with my “toys”), however, just as I got everything out to work on the card, she called to say she was home! I made the card anyway, and will send it to her. 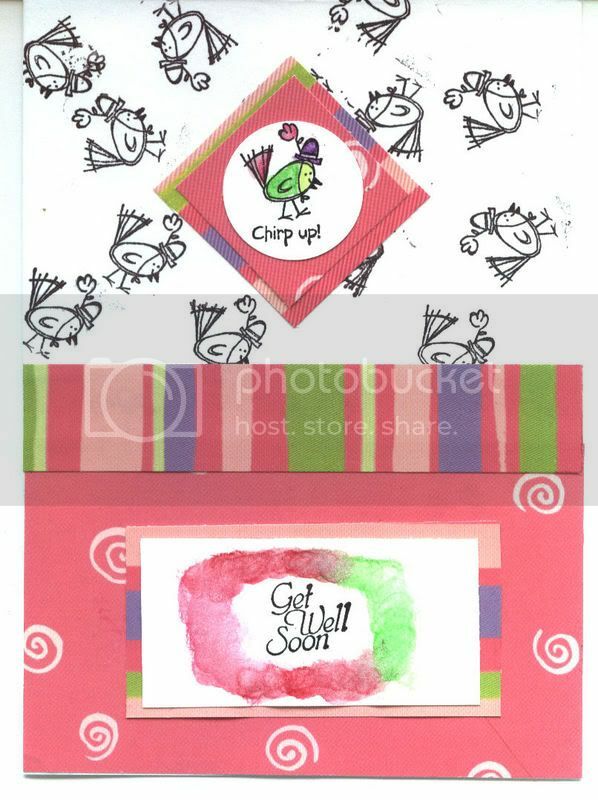 The stamps are all from Stampin’ Up! (the Get Well one is old), the paper probaby came from Michael’s and the color pencils are also from SU! (watercolor pencils).